Winnie Finn is crazy about earthworms and knows everything about them. When spring arrives in Quincy County, all she can think about is the county fair coming up. This year, she would like nothing more than to win a prize for her worms so that she might buy a shiny new wagon for transporting them around. Trouble is, there’s no prize at the fair for worms . . . Bright, energetic illustrations accompany this jaunty tale about a young girl’s creativity that will inspire readers of all interests— but especially those with a love for something wiggly. Parents and children love to play "question" games: Would you eat spaghetti made with gummy worms? Would you wear your clothes backwards all day? Sometimes the answer is "yes" and sometimes it's "no"--but the fun is in the asking. 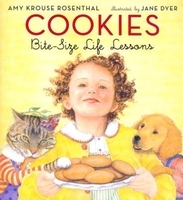 Gifted writer and educator Esme Raji Codell has writtten a book that incorporates fractured fairy tales with this kind of parent-child interplay to create a pitch-perfect combination of bedtime read-aloud and fairytales that will delight children and parents! 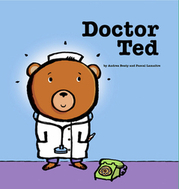 In this ode to the imagination, Ted, a little bear, bumps his knee, decides he needs a doctor, and then decides to become one himself when he finds there isn’t one in the house. After waiting too long in his own waiting room for patients, he locates a bunch of them at school. 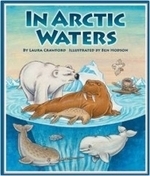 Lemaitre’s illustrations, which put poignant facial expressions onto otherwise fairly cartoonish creatures, provide a good visual counterpoint to Beaty’s sweet, matter-­‐of-­‐fact sense of humor. Ted is certainly taken aback when the school principal, a boar in a purple jacket, sends him home after Ted diagnoses him with bad breath, a fever, and foot odor. (Ted’s mother and teacher don’t like their diagnoses either.) The predictable turnaround, during which Doctor Ted saves the day, is amusingly delivered; on the last page Ted wakes up, smells burned toast, and decides...well, kids will have fun guessing what Ted will do next. From pirate bugs to spittlebugs to lovely Luna moths, children will love learning about the world's insects in Multiply on the Fly. 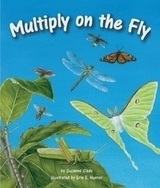 This rhythmic book teaches multiplication in a way that will make children "bug" you for more. Teeming with fun facts, readers will multiply with a variety of insects, including daring dragonflies, hungry honeybees, and stealthy walking sticks.